Today was a very exciting day for Garden2Table. 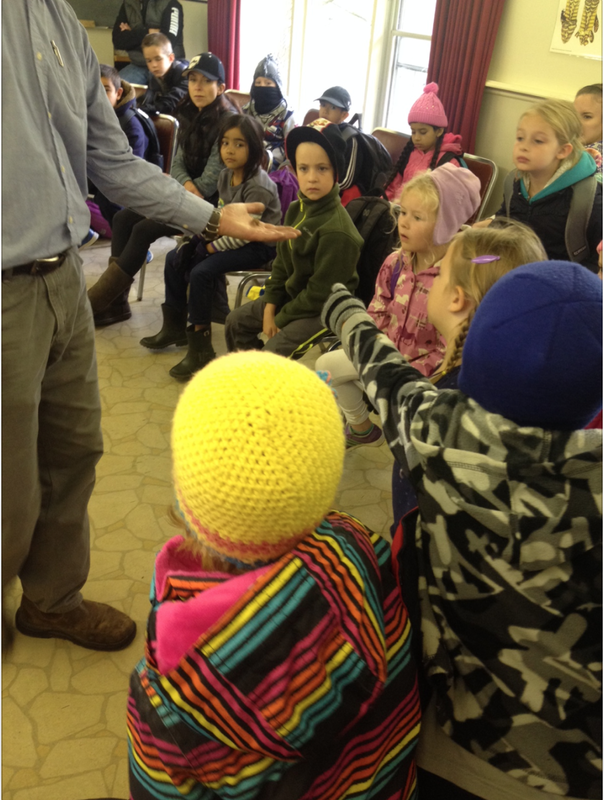 We got take a grade 2 class from Rickson Ridge to visit the Honey Bee Research Center on campus. 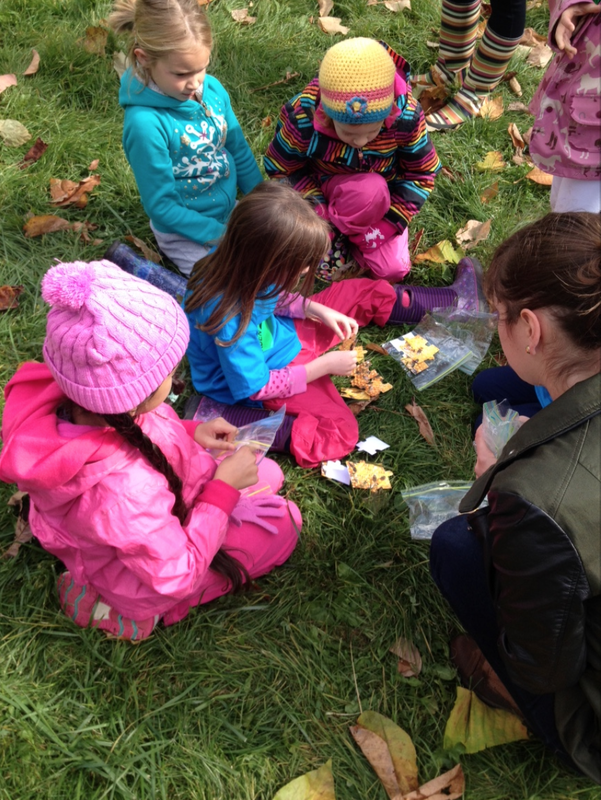 With so many eager-to-learn kids and beautiful fall weather, it was a recipe for success. 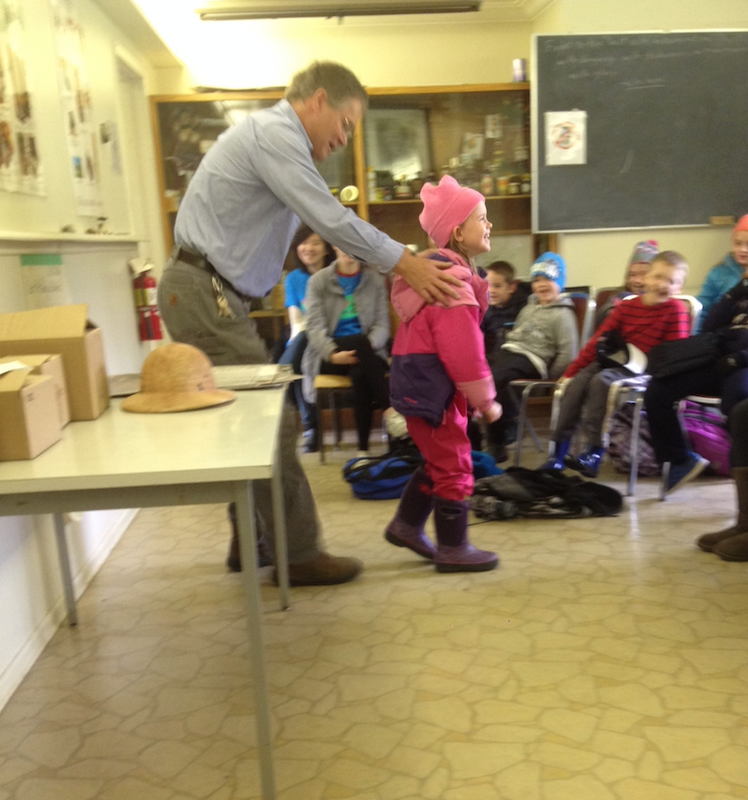 We started off by learning all about the different types of bees and what makes a honeybee a honeybee. It is so interesting how bees use such a complicated system in order to create the honey. 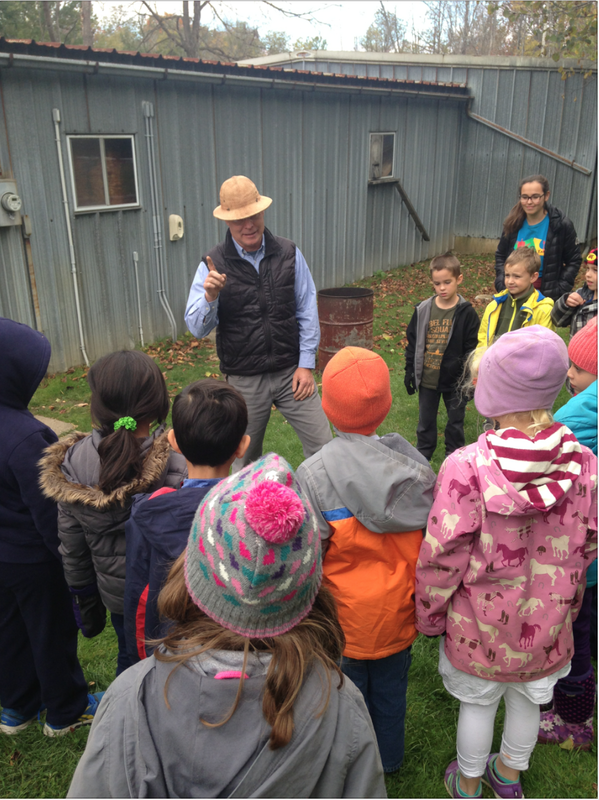 We also learned all about the other reasons bees are so important such as pollinating plants, which feed us as well as the animals we eat. After a lot of pictures and even some dead bees, and of course some bee dancing, it was time to go take a look at the hives! The Honey Bee Research Center maintains about 300 bee colonies! 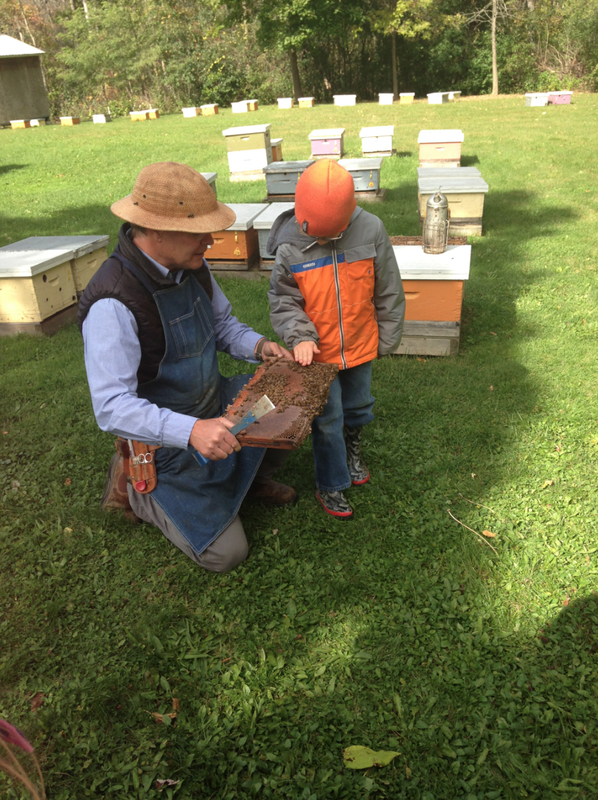 We got to a look at one of the hives to see what goes on inside. Not surprising, when we took out a part of the honeycomb, it was covered in bees and lots of honey! 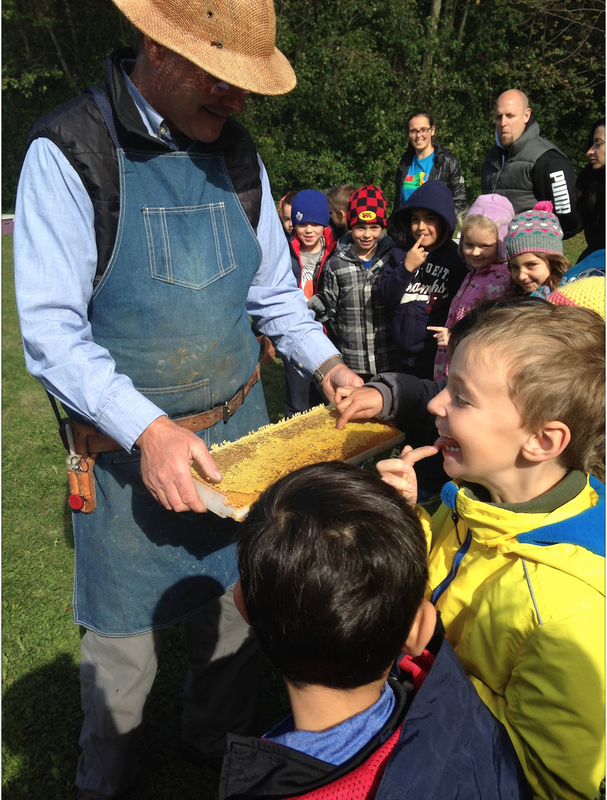 We even got to try a very special type of honey called goldenrod honey, it was delicious! 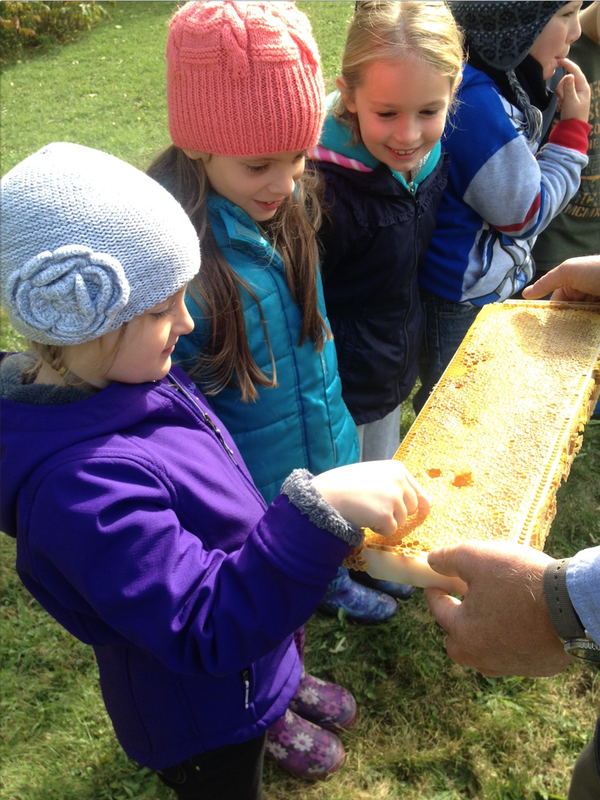 After learning just about everything we could about bees and honey, we took the school bus over to the arboretum for some fun and games. Starting off with a quick game similar to duck, duck, goose, but much for fun because we were buzzing bees instead! Then we divided up the class into worker bees (girls) and drones (boys) and simulated the honey making process. The worker bees were looking for honey (hidden puzzle pieces) to bring back the Queen Bee! Everyone worked together to put the puzzles together to create our honey! It was pretty tough dodging the bears (Garden2Table coordinators) that were trying to take the honey!